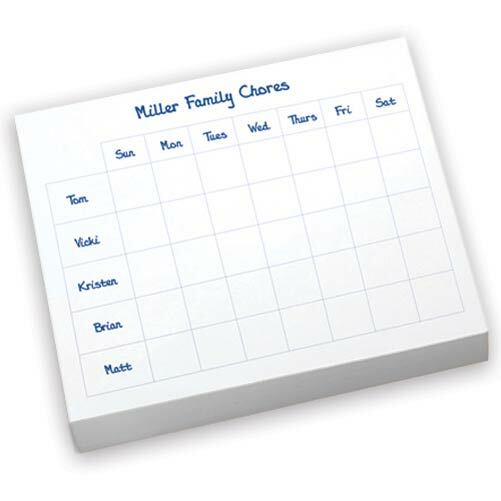 Description: For more notepad choices click Embossed Graphics to go to our sister site to order. 7.2" x 8.5" tablet with white paper and your choice of ink colors in black, emerald, fuchsia, mocha, navy, purple, red or tropic. Great for all occasions. Personalization as shown. 300 pages in this 6' super slab! Pricing: For more notepad choices and pricing click Embossed Graphics to go to our sister site to order.